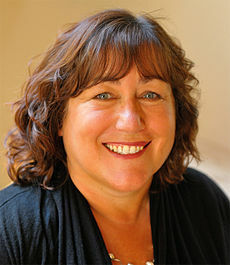 A crime author? I guess I was destined to be a crime writer. In my early working life I was surrounded by lots money, fast deals and dubious characters. 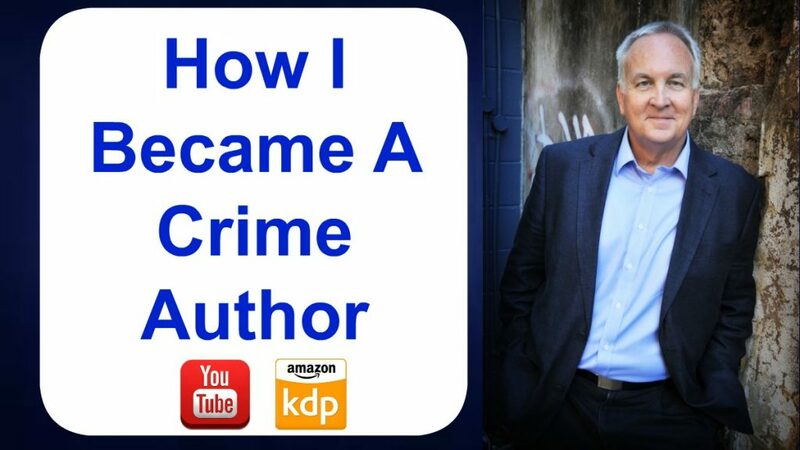 Here’s a brief video on how I became a crime author. The transcription is below for your reading. Hey, good morning, CT Mitchell here, and I want to put up a fairly quick video about my crime writers’s journey. It’s a question I get asked a fair bit about and it’s just dawned on me that I’ve been giving a lot of talks, particularly into author groups and book clubs. I’ve also been out to retirement villages where I’ve given this speech quite often. But I’ve just realised that probably you, my online readers, maybe not have heard this story before. I wanted to try and give a shortened version because the actual talk itself as it goes for about an hour. That may just bore you here sitting online. I want to cut it down and just, I suppose, explain how I got into becoming a crime author, about two and a half years ago. The summary is that I started as a crime author due to my experiences of being a real estate agent. Let me explain that. I grew up in North Queensland, which is about 12- or probably 1800 kilometres from where I currently live now, in a place called Cairns. I was the only son, my Dad was an accountant, and my Mum stayed home. I grew up in the 60’s and 70’s, in a fairly typical Australian family, where Dad went out to work and Mum stayed home. Dad was very, very proud of the fact that he was an accountant and he wanted to, I suppose, impact that upon me to become an accountant as well. When I was 17 I toddled off down to the big smoke here, in Brisbane, to study accounting, which I liked. I wanted to be like my Dad, obviously, so I enrolled, and got accepted. It never really floated by boat. Towards the end of my degree I had this passion for wanting to get out and actually get a job. A job arose where I became a share market trader for a stockbroking firm here in Brizzie. It was in 1980, and it was a mining boom here in Australia. Even though I was inexperienced and I wasn’t to handle the mining shares, I did handle all the industrial shares that were traded. Myself and another operator from the firm would go across each day to the Exchange and trade for three hours a day, buying and selling the shares on behalf of the clients or the firm. My dreams of being a share trader and working on the big exchanges, and seeing all the cash flowing around had just gone overnight. Now I was unemployed. What was I going to do? Obviously I probably couldn’t get back into share broking, so I saw an ad in a newspaper to become a real estate agent. It read, “How to make $50,000 a year.” Back in 1980 that was a lot of money. I got on board, joined the company, went out and made some sales, and rose through that firm. Became a sales manager, looked after control teams, and all that good stuff. I really, really enjoyed it, but it also gave me my first exposure to the criminal world. We used to have a preferred lawyer that did a lot of our contracts. In fact, he lived in the building directly above our office. He was a great guy, by the way. He was very, very charismatic, but seemed to attract clients that were not so reputable. They used to walk past my window virtually every few days. I used to get to know some of these people via reading them in the newspapers and whatever. As I said, were major, major crime figures, particularly from the Sydney underworld. It always fascinated me as to what they did, because again, not being a part of that world, I was interested in how they traded and did business and all that stuff. I used to constantly spend time upstairs with the lawyer having a bit of a chat. He was fairly coy, understandably so. It just tickled my interest in crime and that kind of business. Later on, when I was out sharing a flat, one of my flatmates had a acquaintance, we shall say, who was very, very high up in the Queensland Law Society. He had been a barrister in his past life, and again, he would come over and pontificate some fantastic stories of how he had criminal organisations employing him to basically get them off major cases, major drug busts, etc. Again, the stories just resonated and I was really, really interested in what, again, they did. My attraction to the crime thing just kept on going. Later, in the late 80’s I was on the Gold Coast selling in a major resort there, which was a gated community, which basically meant that no one could get in. It was a safe and secure environment. It also meant it was an absolute attraction magnet for criminals, because the only people that could really get in were those who were the police or some court order, or something to that nature. Again, inside the resort, I got to rub shoulders with a lot of criminals. One particular couple used to always amaze me. I would watch them every single day go out onto the golf course, play golf all day, cruise down to the shops in the fantastic brand-new red Porsche. I would be taking clients in around at night and eating in the exclusive country club that we had at that resort. I would always see this couple dining there, and I used to sit back and think, “How do these guys make so much money that they are now out there enjoying life?” Again, as it turned out that one night, the police raided the resort, this couple were taken away, and as it all boiled down, they had committed a major fraud in the United States and were basically hiding here under a pseudonym name. The crime thing I said, resonated with me, and from there I called upon my past where I was actually reading a lot of crime novels. Agatha Christie was obviously my favourite, I loved all her novels. It just evolved for me so that in 2015, when I decided I was going to write, I suppose it became a bit of a no-brainer. Romance is definitely the biggest genre within the writing fraternity, and I thought, “Hey, you know, I’ve been a bit of a smoothie all my life, maybe I could write some romance.” I soon realised in my own head that men don’t make great romance writers, it’s really a women’s genre. They seem to have a better sense of feelings and touch, and I’m sure all the ladies who are watching that would agree. Women control that market. I decided to give that a move, and go into the crime genre. I called upon all my knowledge and my crime influences, and this is how I began writing my very first book. That’s a little bit about my journey. I just wanted to share initially how I got started. We can blame real estate for that. I’m not saying that everybody in real estate is obviously a criminal, there are a lot of fantastic people out there. I just seem to have had in my early days a lot of attractions to that kind of person. They just fuelled my interest and excitement. I don’t know about your own careers, what you’ve ever done in the past. Who are your influences, maybe you had some people there that when you grew up, influenced you in taking a certain path, that made you become a nurse or a doctor, maybe even a lawyer. Maybe you wanted to help criminals just like I was wanting to write about them. I hope you have enjoyed that little bit of a brief story. That was my beginning of my writing journey. It still is, I love what I do, I love writing my books, and I love having the opportunity to go out there and entertain you. I look forward to improving my craft and hoping that you are getting some enjoyment from my books. You have a great day, I look forward to catching up with you again really soon. Bye for now.